The Fort Smith Snowboard Park is the place to be in winter, with one of the best terrain parks in the North. The site overlooks the majestic Slave River and includes seven features that let users build skills and develop confidence. From a boardercross run to a 20-foot big air jump and smaller ride-on features, there is fun for all levels. The snowboard park is designed with the whole family in mind – you can enjoy the park whether snowboarding, skiing or tobogganing. Looking for more information about snowboarding in Fort Smith? Check out the club’s Facebook page. Register for 2018-19 Fort Smith club membership by clicking here! Registration is ONLY available online. Starting out? We have an eight-week program you can take for just $50 (includes equipment). Click here to register. Lessons will be Sundays 1-2 PM, January 27 to March 17. Please note: Membership is required to take our novice program – please sign up for both membership and the novice lessons. 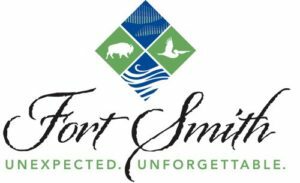 2018/19 Events at "Fort Smith"